Apex Pallet Racking is another renowned pallet racking company in the UK. Advanced Handling and Storage Ltd are proud to be suppliers of Apex Pallet Racking throughout the UK. Under the Apex umbrella they have a huge range of different pallet racking solutions to suit everyone’s needs! They have Narrow Aisle Pallet Racking, Very Narrow Aisle Pallet Racking, Wide Aisle Pallet Racking, Push Back Pallet Racking, Drive In Racking, Pallet Live, Mobile Pallet Racking… the list goes on! They also have a large range of accessories to go with your racking. With the numerous different systems and available extras, we know that there is a solution to suit everyone! Not only do we provide New Apex Pallet Racking to UK, we also provide Used Apex Pallet Racking! We currently have a lot of Apex in stock and ready to go. All our Apex racking is in fantastic condition and we ensure it complies with the industry regulations. 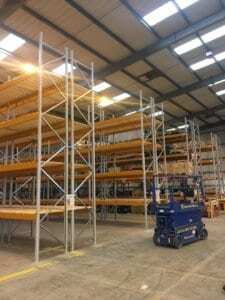 We supply and install Apex Pallet Racking throughout the whole of the UK. 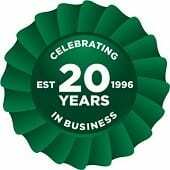 We work solely from our warehouse location in County Durham in the North East of England. If you are looking for Apex Pallet Racking please don’t hesitate to get in touch today by emailing us on sales@advanced-handling.co.uk or calling our friendly team on 0800 345 7088!